The Yonex Mavis 300 Yellow shuttlecocks are made from synthetic nylon and skilfully designed by Yonex to re-create all the fundamentals of traditional feather shuttlecocks' flight and performance. These fast shuttlecocks have a natural cork base and are supplied in a 25-dozen pack. for submitting product information about Yonex Mavis 300 Yellow Shuttlecock 25 dozen We aim to answer all questions within 2-3 days. 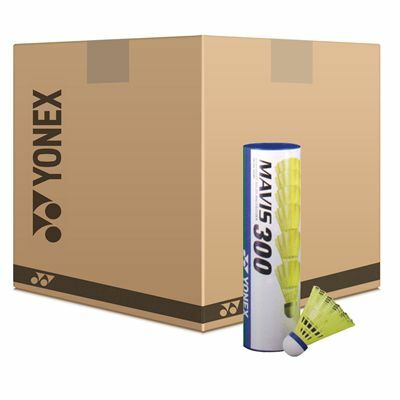 for submitting product information about Yonex Mavis 300 Yellow Shuttlecock 25 dozen. We aim to answer all questions within 2-3 days. If you provided your name and email address, we will email you as soon as the answer is published. 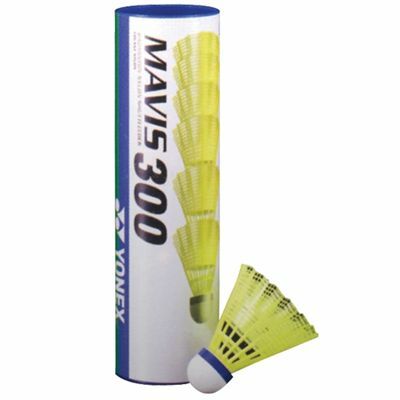 for submitting product review about Yonex Mavis 300 Yellow Shuttlecock 25 dozen.